Italy, officially the Italian Republic is a unitary parliamentary republic in Southern Europe. To the north, Italy borders France,Switzerland, Austria, and Slovenia. To the south, it consists of the entirety of the Italian Peninsula and the two biggest Mediterranean islands of Sicily and Sardinia. Italy is considered to be both a major regional power and a leading middle power with membership in prominent institutions such as the UN, the EU, the NATO, the OECD, the OSCE, the DAC, the WTO, the G4, G6, G7, G8, G10, G20, the Union for the Mediterranean, the Latin Union, the Council of Europe, the Central European Initiative and the Uniting for Consensus. Italy currently maintains the world’s tenth-largest nominal defence budget and is a participant in the NATO nuclear sharing policy. On 1 July 2014, Italy replaced Greece as the seat of the Presidency of the Council of the European Union. All international students are entitled to the same student assistance services as Italian students, on basis of the same requisites of financial means and/or merit. This applies to scholarships, student loans, housing assistance, refectory meal tickets and fee waivers. These services are managed by the DSU office (Diritto allo studio universitario). Alongside scholarship and financial aid information, DSU offices will also provide other services such as counselling and information on extracurricular activities, sport, transport and other practical matters.You should contact the office at the university where you plan to study to find out what services are available to you. Italy has played an important role in European higher education: it is one of the four countries that first engaged to create the so-called “European Area of Higher Education”, thus starting that type of higher education reform which, known as “Bologna Process” (Bologna Declaration, June 1999) is being implemented all over Europe. The education system in Italy is organised according to the subsidiary principle and autonomy of schools. The State has exclusive competence on general issues on education, on minimum standards to be guaranteed throughout the country and on the fundamental principles that Regions should comply with within their competences. The academic year in Italy is made up of two semesters. The first semester starts in September/October and ends in January/February. The second semester starts in February and ends in July. The actual start and finish dates will vary in the different universities but each semester lasts around 20 weeks and is made up of a teaching period lasting around 14 weeks and an exam period lasting around 6 weeks. The Italian Master’s Degree should not be confused with Italian “Masters” (Magistrale specialistica) that are one-year specialist courses which offer a more practical education, notably in professional areas such as law, engineering, education or architecture) but do not give access to further levels of studies (they can be considered similar to Postgraduate diplomas). A bachelor (or an international equivalent) is required to undertake a Masters degree. If you are applying for an international program (the Italian equivalent to being delivered in English) or an Erasmus Mundus joint-Masters programme there may be no entrance examination. If you are applying for Masters degrees in the area of economics, management, finance, business studies, you are likely to be asked for a GMAT or GRE, and Proof of English Knowledge is required notably if the program you are applying to is in English. Universities and other Higher Education Institutes establish their own fees but in the case of university education there is a legal minimum fee for enrolment and maximum level for student contributions to costs and services, which cannot exceed 20% of state funding. The average fees a student has to pay is somewhere between 850 euro and 1,000 euro per year since this varies from one university to another and also depends on the chosen course of study. Private universities are clearly much more expensive. Admission to “master universitari” and other specialisation courses also have much higher fees. Doctoral students who receive a grant from the university do not pay fees, but non- grant holders are required to pay the fees, which will vary again according to the university chosen. The cost of living in Italy varies considerably depending on which part of Italy the student will live in. 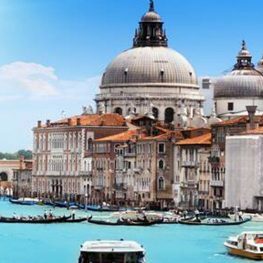 Almost all of the main cities and tourist places, especially the ones located in the north of Italy are comparatively more expensive than other cities and smaller towns of the country. Copy of the passport page containing holder’s data and those mentioning an extension of validity. © 2018 Globe Overseas- Designed By Glydeup Techsolution.